I’ve worked through most of the Ready-to-Wear shows for Fall 2017, pinning directional looks along the way. There was quite a lot of fashion coming down the runway that I did not like, which is unusual. Overwhelming silhouettes, hectic slouch and extended sleeves look tired to my eye, as do deliberately unkempt models, and seasonally confused outfits that remix sandals with Winter woollies. That said, I’m pleased to see that Maximalism and Individualism reign supreme. Fads are a thing of the past, and fashion is more diverse than ever. My favourite collections were: Bally, Brunello Cucinelli, Daks, J.Crew, Sandro, Tibi, Theory, Tracy Reese, Victoria Beckham, and Vetements (for model diversity). Fashion has become a melting pot of sartorial choices, and there is no one way to be stylish. Increasing diversity in fashion with each passing year means that there is something for everyone. Take the PERSONAL in personal style to heart, because you have the power to pick and choose from the trend buffet, and sport it your way. Maximalism means wearing it all together to create a harmonized whole. Think of wearing complex silhouettes, combining them in one outfit, layering all sorts of pieces to create interesting proportions, accessorizing to your limit, pattern mixing, texture mixing, patchwork, embellishment, remixing high-contrast colours and clashing colours, wearing statement make-up, and adding nail polish and rainbow hair. Think drama, not subtlety. Remember that Maximalism runs on a continuum, and you’re free to interpret it as fully as you see it on the catwalks, or tone things down considerably to create a minimally maximal look. Have fun exploring new possibilities and by all means “wear the kitchen sink” if that makes you happy. The only limit to the Maximalism trend is your own tolerance for it. As far as “hot off the press” trends go, booties are taking a back seat. There were MANY styles of tall boots on the runways, and most collections showcased them. Dressy and casual knee-high lengths in an assortment of colours and neutrals were ubiquitous, and combined with dresses, skirts, cropped pants, skinnies and straight legs. This was the biggest change in runway fashion, and quite a welcome one, despite the fact that tall boots are harder to fit than booties. 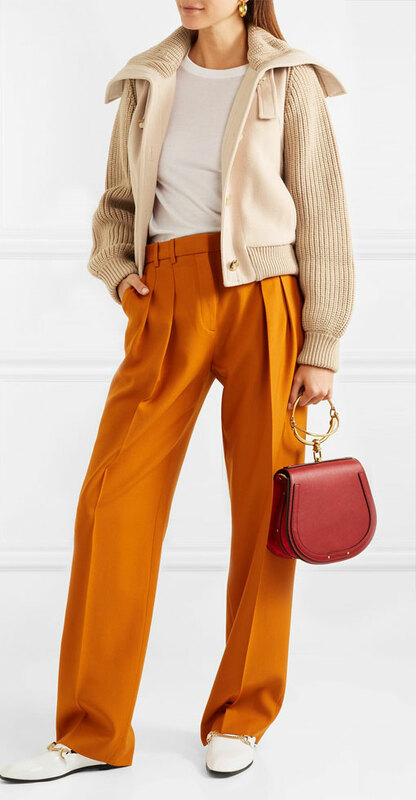 The cropped pants trend — which has held strong for five seasons — now has major competition as full-length jeans and trousers make a comeback. And I mean floor-scraping lengths with lots of scrunch. Silhouettes were predominantly wide leg and bootcut, which is impractical for Winter. But scrunched tapered legs were equally popular. The full-length, tailored straight leg with scrunch on the hem is my pick for new trouser and jeans silhouette. 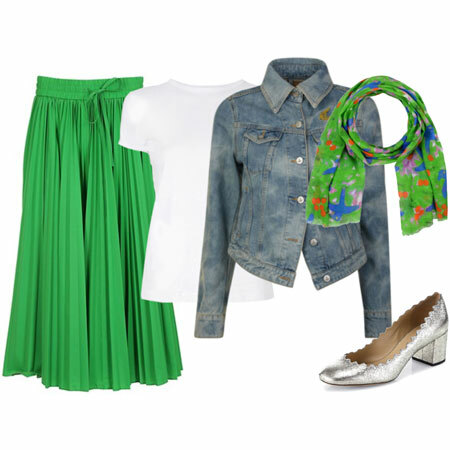 Easy to combine in outfits, good with an assortment of footwear, and practical in dodgy weather. There were a plethora of dresses and skirts on the runways, many of which were midi length styled with tall boots. Most of the fabrics were soft and drapey, and the silhouettes fluid, semi-structured or tailored. Dresses and skirts were layered with all sorts of cardigans, jackets, coats and scarves, and some worn over pants. Let’s hope that knee-covering dresses with sleeves that are not poolside maxis make it to retail this season. You’ll see most colours represented on the runways, but some are simply more popular than others. 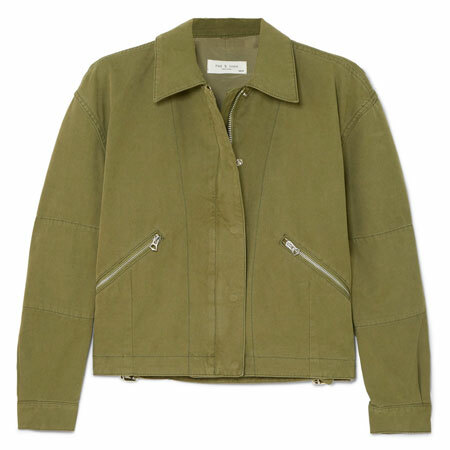 This time round, earth tones are having their moment. Think shades or toffee, cinnamon, burgundy, bordeaux, cream, brown, forest green, sage green, mustard, olive, khaki, tan, chartreuse, shades of orange, animal print, and dirty shades of blue. Jewel tones like peacock teals and purples were popular too. As I’ve mentioned before, sneakers and sneaker hybrids are the shoes of our fashion era. Fashion sneakers are combined with just about any outfit these days, and there is no stopping the trend on the catwalks. There was an incredible amount of waist definition coming down the runway. AGAIN. For the most part it was created by belts that cinched at the waist, as opposed to garment tailoring with seam and dart detailing. That said, there were just as many tailored coats and jackets, as there were cocoon and oversized silhouettes. If waist definition is not your thing, allow garments to hint at a waistline for a bit of structure. I hope that retail takes this trend to heart because there is only so much slouch that we can take. I vote bring back the tailoring. Modern Retro means that you’re incorporating a style, trend or design from a bygone era AND adding a good dose of modern to the look. Retro items are not vintage items that actually come from that era. ANY retro look is on trend at this point, especially if the silhouettes resemble the ‘60s, ‘70s, ‘80s and ‘90s. The catwalks are full of design detailing from these fashion eras, which I personally enjoy seeing. Mod styles, Mary Janes and tapered ankle pants from the ‘60s. Boho chic, ruffles, flares, disco, faux fur, and glam looks from the ‘70s. Sharp shoulders, oversized tops, colour blocking, lace, high waistlines, shuffle socks, skinnies, pleated pants and waist definition from the ‘80s. Longer length blazers, coats and dresses, military boots, body-con tops, round specs and deconstructed denim from the ‘90s. Think velvet, brocade, lace and jacquard across all wardrobe items, and wear them together for maximal effect. Feel free to wear a corset too. The dandy style of the New Romantics in the ‘80s is great inspiration. Almost all collections included pantsuits in some way. Some of them were beautifully tailored, looking elegant and feminine. Others were slouchy, edgy and Tomboy. Some had sharp ‘80s shoulders with long blazers. Others had short jackets. Lots of colours, patterns and fabrics were represented. 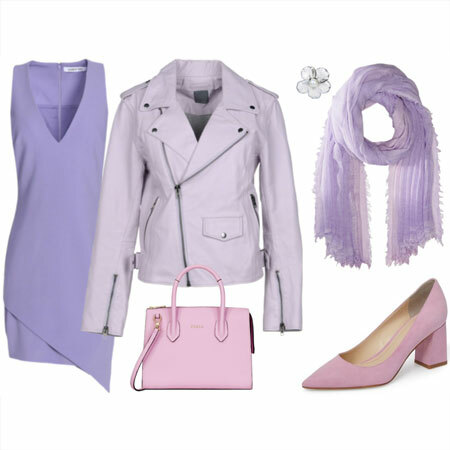 The trend could come in handy for dressy attire when you don’t feel like wearing a dress or skirt. Or if you want to simplify your workwear options. This included all sorts of earthy tweeds and plaids in separates likes blazers, skirts, waistcoats and trousers. Also: suede elbow patches, body warmers, corduroy bottoms, cravats, anoraks, pullovers worn over shirts and blouses, and riding boots worn over skinnies. Think dressy or casual equestrian, and you’re good to go. Head-to-toe black with LOTS of texture and garment interest is strong. Interpret this trend in a maximal way for a fresh approach. 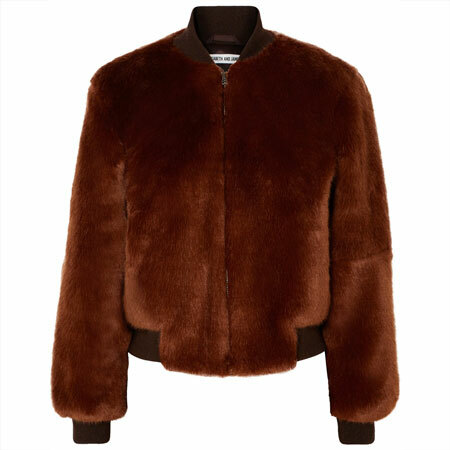 For example, remix black wool, faux fur, lace, brocade and leather in one outfit. Designers made a statement with dressy and casual flat footwear (in which I include heels up to the height of an inch.) ALL toe shapes are popular. Pointy, square, round, snip toe, and round square toe boxes were shown. ALL heel shapes are making a fashionable appearance. Stilettos, platforms, block heels, stacked heels, wedges and kitten heels. Dainty and refined footwear is as trendy as chunky silhouettes. These days, it’s hard to find a dated style of footwear, although you should pander to your sartorial preferences and look for something “new-for-you” if shoes are your thing. This trend goes hand in hand with Modern Retro since I saw it ALL on the catwalks. Lots of high waistlines from the ‘60s and ‘80s. Lots of low and mid rises from the ‘70s and ‘90s. Lots of bottoms had ample width in the legs. Some were tailored at the hip and flared at the hem, while others were straight and skinny. Some styles had Tomboy slouch. There is no such thing as a dated colour if you wear it with panache. Your colours are always in style. It takes years for runway trends to have an impact on retail, which means that fashion does not change overnight. 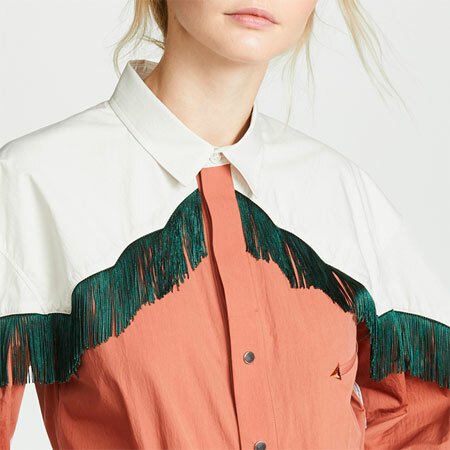 Some trends do not make an impact on retail at all, or stay fringe at best. Mainstream trends last between 5 to 15 years. Some longer. Some vibes never go out of style, but a current version of the look in modern fabric is important. Vintage items can work when they’re combined with a good dose of Modern. Consumers keep trends alive, not designers and fashion houses. Retailers will continue to stock a trend if they know they can sell it. For example, designers might want to call it quits on the Athleisure trend, but the look makes a fortune for retailers who are in business to make a profit. They won’t stop supplying a look if you keep on buying it. Athleisure is a very popular way of dressing casually in America and Canada, and it will not disappear from retail. Personally, I’m excited about maximalism, individualism, tall boots, full-length bottoms, some earth tones, English Countryside, Modern Retro, low block heels, and if we actually get them at retail – midi dresses. Filter through the trends. Keep the ones that tickle your fancy on your radar and leave the rest. Don’t stop rocking your signature looks, but DO try something new. The “personal” in personal style means styling the trends your way, which is the best part in all of this. Feel refreshed and empowered as the new season unfolds. The fun part of fashion is waiting patiently for the things I love to be available again. Belts, pants suits, renaissance oh yeah – bring on the good stuff! !, English countryside, gothic romance – I will be scope locked on these looks. I’d love a dressy velvet jacket but one with a renaissance feel – couture renfair especially a black velvet frock coat. Hope springs eternal on this one. I’ve had my eye out for for 20 yr for the right one since Ana Sui did her collection in the 90’s. Also fab that dressy flats are on the rise. That’s exactly what I need right now. Thanks for the incredible list Angie!! Thank you for the report, Angie, it is always one of my favorite blog posts and I appreciate all the time and effort you put in them. I like most of the 14 trends and am neutral about fashion sneakers. I am particularly looking forward to incorporating individualism, (minimal) maximalism, tall boots, (knee -length and midi) skirts and dresses, pantsuits, full length pants, jewel tones, modern retro and low heels. I wish waist definition were achieved through tailoring vs. belting. Earth tones are not my best, but I like the cooler shades such as burgundy, cream, sage and forest greens, and I am very happy about purples and teals. I am especially intrigued by the return of full length pants. I do not like scrunch on wider and bootcut pants – I prefer those PPL, but I am fine with some scrunch on narrower shapes that do not touch the ground. I am very curious what full length pant shape(s) you think will separate itself in the next couple of years – I am planning to slowly build a capsule of nicer work pants (Theory and such) and it would be great to catch something as it begins it’s 5-year reign to get maximum amount of wear out of it. My wardrobe is currently full of cropped pants of all shapes. “Absence of Grey”…LOL, I’m really building up this color in my wardrobe as it’s a nice alternative to black. Do love the other rich earthy colors you noted too. 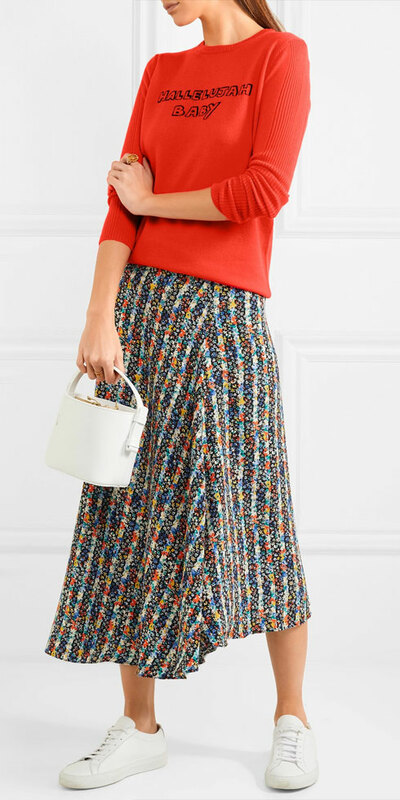 I’m traveling in China at the moment and have seen lots of midi skirts and dresses (on shorter women in flats and low heels, no less). Maybe I ought to look for a skirt here before I leave; I forgot how hard it is to find midi lengths in the US. Thanks for the comprehensive look at the runway trends. Very excited to continue to see a wide range of available choices in sensibility and silhouettes, as well as a strong presence of flat shoes. Always appreciate your wisdom on the context of shifting fashions, how concepts may or may not move from runway to the street, and the power of adding a couple of new pieces from the emerging styles to your current wardrobe. I also hope earth tones and low heels remain popular at retail. Those are winners for me personally, along with 60’s type silhouettes. Angie, thanks for sorting through the bewildering array of offerings to give us a summary! I do hope the individualism trend lasts a good while. It is nice to be able to find and wear a variety of silhouettes! Buying my greys now while still at retail! Thank you, Angie, for this comprehensive review. You are always so thoughtful and reassuring. I love your emphasis on each person finding her own sweet spot with the trends, and focusing on the pieces or aspects of a fashion season that speak to us individually and work with the existing wardrobe. I am happy to join the tall boots brigade for a while (though I will not give up short boots and booties). But with 3 quite different pair of tall boots I feel well covered in that department. I like full length trousers but am sad it is so difficult to wear floor sweeping wide pants in my climate. Oddly, I have never been a fan of scrunch on narrow pants so my eye may need some adjustment to that. Speaking of which, I don’t like to be a complainer — and besides, I know I will find something to love, no matter what — but when I go into stores these days I find myself sickened mostly by what I see. It is a glut. The glut of oversize (for my frame) detailing, especially on tops — it feels excessive and overwhelming and fussy and twee all at once, and makes me scoot out of the store as fast as I can! I guess I am mostly a minimalist girl at heart. My “maximalism” will have to come in my high affinity for colour and pattern mixing, I guess, and my extra (for me) jewellery — a bangle I wear now in addition to my watch. Ha! I’ve just been adding gray back in and now that I hear it’s not trending, I feel really great about that – as an Individual. Thanks for a thoughtful post. I am looking forward to full length pants and boots, but earthy tones are not really my colours… hopefully the forest green will work for me and my xisting clothes. There is definitely something for everyone in this mix. I’m thrilled about the return of the pant suit, such a great option for the office. I am also excited about the return of burgundy, cream, tan and peacock – all colours I love and have missed. I have fun doing a black out, so a touch of gothic romance is something I enjoy. I had already suspected that tall boots were coming in and bought a pair of these this winter, so I am sure that I will get maximum milage out of these! Great analysis. Fascinating to read. What a thoughtful analysis, Angie – thank you! A number of these are in line with my personal style – waist definition, dresses, tall boots, burgundy and jewel tones, and modern retro – and I can’t wait to see some options to refresh my wardrobe. Fun to live in a fashion era that embraces diversity and personal style! Thank you for this report. I am currently obsessed with a photo I saw the other day pairing teal with burnt orange/red and a plaid jacket thrown on for extra impact. I love what I’ve seen of VB’s collection so far – and am happy that grey isn’t the predominant colour. I don’t mind earth tones although it’s been years since I wore any, and I’m actually looking forward to some different colours in my closet over the next year. And pantsuits – my favourite work look! This is such a fun post. I can’t wait to start seeing some of these trends, although around here it’s usually at least a few years. I love cropped pants but in winter have to wear full-length so I’m glad to see that they might actually be in style I am drawn to earth tones lately which is unusual for me, love the low heels and the fact that all rises are popular is good, I can’t do super high or super low so maybe will find the perfect rise. I don’t think I will ever be maximal, it just doesn’t suit me, not crazy about gothic or renaissance either but at least I will have lots to choose from anyway. Thanks Angie always a good read. Tall boots and skinny pants, does that mean tucking jeans into tall boots is on trend again? And regarding the absence of grey – my take on it will be (because I have a lot of it in my wardrobe and not about to dump it) to wear grey with teal, burnt orange , red, or a bright plaid. I’m thinking scarves, gloves, a bag, even jewellery with colour. I hope grey takes a back seat because it’s been overkill at retail for years. No need for it to disappear because it’s a good neutral for some – and glorious on those with grey/silver/salt & pepper hair. But I support variety and choice, which is why I hope we see less of it. That goes for black too. Gryffin, you’ll have to buy lots of long blazers in the next few years. Tanya, HIGH FIVE on everything you said, accept that I like warm earth tones but will leave the jewel tones to you. KL, it’s EXTREMELY hard. Hope that changes. Ryce, Individualism will become a Modern Classic. Suz, right back at you. Your thoughtful and engaged comments are a treat for us all. No way I’m giving up booties either. Too practical. You’ll probably adjust to tapered leg scrunch, and I’m with you on the overkill of oversized tops. I’ll add ripped jeans to that list. Bijou, the way I see it, the pant suit is a great option for all sorts of settings. I’ll blog about that next week. Lisa p, who is VB? Victoria or Veronica? Shades of blue are fab with shades of orange. Match made in heaven. Robin, I’m not into Gothic looks either, but there is LOTS more to choose from. Fabulous. Cherylm, YES. Although the combination never went out of style. It is so very helpful to have it all put into context by an expert! This is the first season in a while that I’m excited about fashion again. I’m keeping my fingers crossed that the midi dresses make it to retail. I was thinking about this post this weekend as I played in my closet and here it is! I still have notes from last year that I made about the trends and how my wardrobe pieces fit them. I will eagerly do the same thing again! Lots of things here appeal to me, especially full length pants! My shopping for the season is pretty much complete with the exception of a pair of tall boots and a nice belt or two. It’s good to see my wish list items are on trend too! Thank you for this post. I can’t imagine doing this for myself….visual overload! Like others, I better go get those gray pants while they are still in the stores. Do you think neutral booties will still be useful? I was planning to wear them with skirts this fall. I don’t want to invest in outgoing footwear, as these were Paul Green, I think. Seriously, when I started wearing grey, it wasn’t everywhere. Finding grey boots, for example, was impossible. Last year, though, everything came in grey. I have been attracted to blue lately and hope it’s having a moment. Thank you for all your hard work, Angie. I love the first point, Individualism, the most because it keeps things interesting; and because of memories of the women in my family scrambling on a strict budget to make over their clothes to fit the newest trend each fall. It could be painful. My other favorites are pant suits, which can make getting dressed almost as easy as a dress; and flat shoes, which I would continue to wear even if heels were the trend. It is good to have lots of choice. Being older than dirt, I have seen grey disappear before. Retail seems to like to offer basics in a limited number of neutrals…black, some shade of white, some shade of navy stick around. Grey and brown change places, as do tan/camel with light grey. I suspect that as grey diminishes, shades of brown will take its place. That also fits with the earth tones. Before changing back to greys, browns may morph into shades of taupe. At least this is what has happened before. I like the fact that trends are more broadly interpreted these days. I’m of a mind lately to keep things that I still love if they seem a little out of date, because usually they can be remixed into current outfits to feel fresh. But the key is I have to love them. I’m happy to see tall boots trending, although I don’t have many left after culling some too-high heels a couple of years ago. I have my sleek SW’s that dress up or down nicely (very modern classic), some old Frye tall slouchy taupe boots (have been feeling a little dated the last couple of years but may have new life this year! ), and some old Frye burgundy tall boots, which I still like but again the heels are a bit high for my current comfort. Plus my Sorel tall lace-up wedge boots in black and grey which I enjoy even when it’s not wintry weather. I just bought a pair of Kelsi Dagger lace-up black tall boots to replace some Fryes I sold a couple of years ago because I could no longer tolerate the heel height. So far they seem comfortable enough around the house, so when I get back home I’ll have to give them a more thorough evaluation. I would still like a pair of sleek but casual cognac tall boots, but I need to be sure they’ll get worn since I don’t do a lot of earth tones in my outfits. I’m excited about the return to full-length flared jeans and pants! One of my best silhouettes. I love cooler earth tones (chocolate browns, silvery olives) and will be glad to see grey step aside. Have been looking for cool, dark browns in a satchel, in sweaters, in boots, with no success — maybe that’s about to change! Thank you Angie for this post. I like some of them, maximalism( my way), individualism, full-length bottoms, flats and low block heels,, some earth tones,waist definition, Modern retro and pant suit . I can’t wait to see some options. I love the retro sensibility of the outfit with the patent jacket and checked full length trousers above. To me the white boots make it modern – although I suppose white boots themselves are winking at the 60s. I am looking forward to giving my tall boots a spin this winter! Thank you Angie for all your hard work. I will come back to read this post more carefully. I see a lot that I like here. I have always preferred full-length flared pants and especially high rise jeans. It is no secret that I wear earth tones so I am already noticing more of these colours at the retail level. Yeah! I so appreciate getting a thoughtful distillation of what’s up in the fashion world! It takes a while to filter into my price point and location. For example, it seems like athleisure and skinnies still rule here in the heartland! I’m pleased to see peacock and burgundy amongst the earth tones. I use olive and burgundy as my “earthy” tones, and am open to trying cinnamon, as well, since I seem to growing less sallow in complexion with age (some things get better!). I adore tall boots, but I’m sticking with booties for this season, unless I walk through a shoe department and see a pair glistening like the moonlight, and hear a siren call! I won’t keep them on while at home, and my job requires me to slip shoes on and off throughout the day! Add to that the fact that my calves, like the rest of me, sits squarely between regular and wide calf sizes. Yea! Thank you for this trend report. 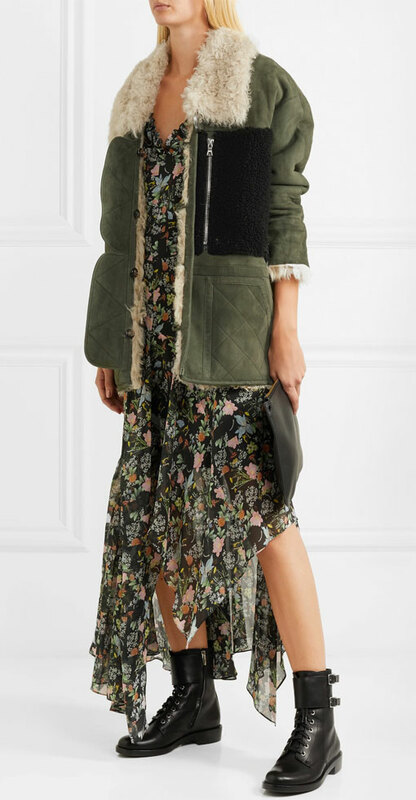 I’m glad to see that Brunello Cucinelli made it to your favorites list as I have pinned a lot of images from this collection–not that they will incorporate into my wardrobe any time soon. Great trend report! I’m loving the variety! I’m on team grey as well, although I just bought 2 pairs of black pants (one cropped…desperate for transition.) I’m happy for full length pants. I’ve never completely stopped wearing them in f/w. I never really understood why I’d want cold ankles, lol! I am excited about the tall boots, English countryside, gothic romance, and individualism trends! And low heels of course. Also happy to hear that jewel tones and low/mid rises are well represented. I’m hoping that waist definition will include the tailored version as belted waists don’t really do it for me. Thank you. I have been waiting for this. Thank you for the trend report – always fun! I’m very happy to see a lot of variety of greens – deep olive, forest, etc. And I wish I could find a nice casual (washable) teal top for this fall/winter – I’ve been on the lookout. I also really enjoyed jcrew’s lineup of models this time. Yes – already on the long blazer/blazer coat hunt and loving it. Have the JP fleece on today. Waiting for it to cool down for the EF. Even regular blazers like the VB are running 28″ are so much more flattering to me than the shrunken jackets were. I’m looking forward to the return of blazer coats too. Well I’m like a squirrel storing up for winter. But I’ll remember where my “cache” is located!! After all, the famine is not far away…. Lots to look for and enjoy – if not on me, on others! I like the longer-long pant look, especially the boot cut and fuller leg, and the sneaker trend. Ooh, I’m still looking for a moody floral dress to wear with boots. Thanks for your insightful report – It sounds like it’s a real fashion melting pot! I’m going to enjoy trying to find a little something new to me this year. I might even try some color. I’ve worn so much black for so long! Thanks, Angie. I hope pantsuits and full length trousers make it to retail. Only a handful of brands make pantsuits, and they’re all expensive. For now, what I see in stores : shades of dark reds, shades of dark or earthy greens, checks, still plenty of ruffles, still plenty of big, complicated sleeves, wider trousers/jeans, bigger shoulders, hairy jumpers (shetland, mohair). Thanks for breaking it all down for us. I personally am grateful for all the hard work you put into this post. There are several trends that speak to me. 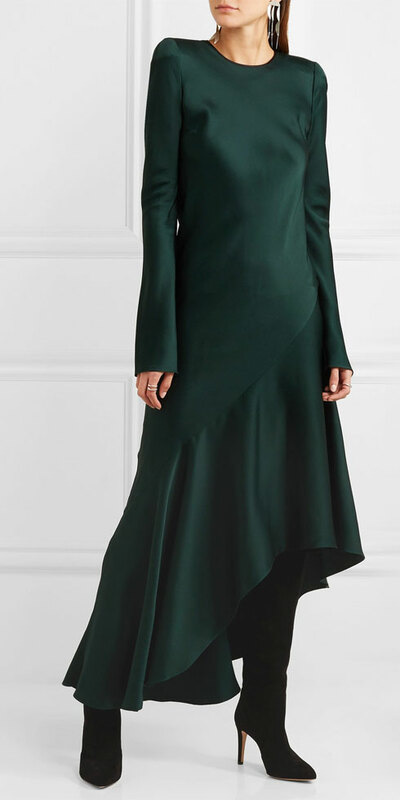 First off: like many others I am hoping the Tall Boot trend will translate into retailers who actually offer dresses with long or at least 3/4 sleeves that make sense for Fall/Winter. I prefer knee length but just add sleeves for goodness sake. I absolutely love the Maximal trend but personally feel so overwhelmed by it I have no idea how to even attempt to create an outfit for myself. (sad face). Long time lover of Tall Boots, Full length trousers (The Chloe bomber and those pants are to die for). Happy to hear flats and low heals are still going strong and hoping retailers keep lots of options available so I can continue to stock up. Of late I have been obsessed with feminine cream ankle boots and how to fit them into my current wardrobe. That Violet suit with the booties is stunning! Lastly, keeping lace on my radar to add for texture. I still have my favorite Midi length black lace skirt from Express over 14 years old and in pristine condition! Will have to wear it more this season and with boots! Now if the weather would just cool off a bit. Wow, lovely Angie! You condense all your observations in a clear, breezy manner that make it all seem so simple and straight forward but we know that this is the result of many hours of work. Thank you. I’m excited by tall boots, English countryside (how I do love a nubby tweed! ), dresses and return to earth tones Grateful that I’ll still be able to find high-waisted trousers and skirts and fashion sneakers. I’ll just enjoy gothic romance and renaissance maximalism on others. Echoing Suz’s complaint: I do hope the overly detailed and frilled tops disappear soon. I do want to keep gray as well. Since I’ve let my hair grow out to its natural gray, I love gray bottoms, especially jeans. I had better load up on them while I can. I don’t like to wear blue jeans at all anymore. Not so wild on gray tops unless there is something original and different about it. Thanks for the review, Angie. It is still in the 90s here, so I have time to watch how the new styles play out. I do look forward to longer lengths in pants and higher rises. The checked pants remind me of a favorite pair I had in college, worn with a navy blazer rather than a leather jacket. Stuff I got on sale at Joseph Magnin in LA. Anyone here remember that great store? Ah, nostalgia season. They can try, but they won’t take my grays away from me. Having transitioned my hair back to blonde from red (of many shades over the past 14 years), I’ve been happily returning to gray and black instead of looking and looking for browns. I do love earthier colors too, and yay to full-length pants! I’m not so big on fall fashion, but I want to change up my wardrobe from last year. Thanks for the taste of what’s to come. I know it takes a tremendous amount of work and I appreciate it! What neutral is taking grey’s place? Are we back to browns? Thank you for an interesting and well-written report. I would be very pleased yo see more midi dresses and skirts, tall boots, and elements of English countryside. Thanks Angie – these reports are so easy to read and digestible for us. It gives us options that we can choose to follow or not. Being in the Southern Hemisphere means careful buying at the end of season sales can be very fruitful come next autumn. Thanks for the detailed report, Angie. I will bookmark this post and come back later to read it more carefully. Glad you’re enjoying the trend report. It’s a lot of work – but I do enjoy it. Nice to hear that the trends are agreeing with you. The more diverse they are, the more chance there is of that. Lisa p, Victoria Beckham is a talented designer. I tend to like her sensibility. Susie, I’ve bought a lot for Autumn too. LOVE to shop early. Quietgirl, neutral booties are always useful. Make sure you like them styled with skirts and dresses. JAileen, there will be plenty of grey for you to buy in stores. Rachy, you need a Country Punk outfit for Lilypup. Joy, HAH. You are as rich as the richest soil. I’ve seen grey disappear from retail. Brown has replaced it in the past. Until brown disappears……and so it goes. To April and Laura’s point. Janet, dead right. Nodded along to everything you wrote. Lets see the new Kelsi Daggers. Shevia and mtnsofthemoon, you and me both. 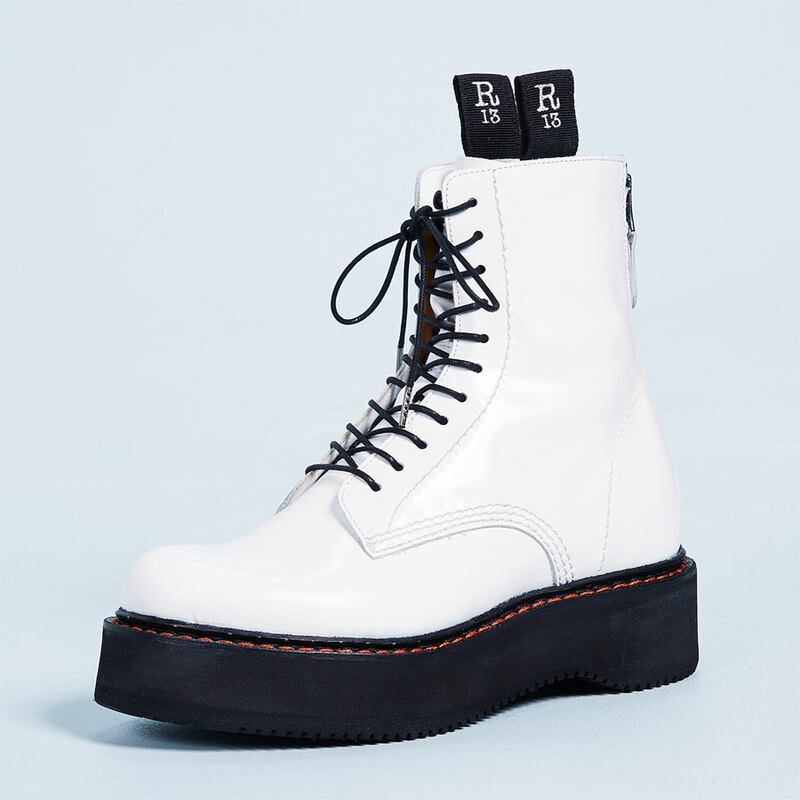 White and cream boots are my favoutite. Mod and magical. Runcarla, pointy toe boots are fab, as are pointer loafers and oxfords. Sneakers can work under full length wide legs. I have a post on that this week, actually. Skylurker, I think we’ll see more brands make pant suits this season. Sorry to be brief. Got to run. Thanks, Angie! Lots to think about here. Loving Individualism. And hoping brown trickles down to retail. I’m not sure if my tall boots are still current. May need to post a picture for evaluation. Being petite, finding boots with the right shaft height can be a challenge. Thanks Angie. Lots to get excited about here. I am especially pleased about the return to full length pants and earthy colours. From the trend buffet, I choose peacock blue, suede patch elbows, and corduroy. Maybe some gothic romance in ink too. I might have sneakers for dessert. I’ll take that Haider Ackermann dress in the bottom left, please! I am hoping there will be multiple calf widths to choose from. It’s SO hard to find and fit them! I couldn’t be happier about full-length trousers, English Countryside, tall boots, and flat heels! Thanks for the trend report. Super helpful as I plan the soon-to-be-here season. I have really enjoyed this . So many nice things to look forward too. Thanks for the trend repot. Back now that I have a few more minutes. I’m happy that velvet is back, and I need to incorporate my pieces into my everyday wardrobe this fall/winter, as I didn’t last year. And maybe add a piece or two. Fun fact-saw an older teen/ 20 something in short velvet shorts today. Very cute on her without being cutesy. I’m all for full length pants. I hope they make it to retail immediately. I like being warm in winter. My tall boots from a few years ago barely fit for a nanosecond at my lowest recent weight-the challenge of wide calves and not wide feet. And those took a long time to find. So, I think I will need to break down and try for a pair with a wider calf. I’ll have to gear up for the search for wide calf wide toe box narrow heel low heel or flat sleek boot that can handle rain. How’s that for specific? It’s fun to see your analysis, Angie. It’s exciting to see the latest trends, and be inspired. I’m ready to wear my tall boots more! Btw, I started checking the blog at midnight, lol… just in case, you know, you posted the trend report early, Angie… lol. Ok. But OMG. My brain is now spinning furiously re. a Country Punk look for Lilypup! How can I get a studded chintz collar?! I’m so here for gothic romance. I have a black velvet midi skirt that’s dying to come out to play as soon as it gets cold. I’ve also finally been bitten by the maximalism bug and am looking forward to playing with layering this fall. Oooo, English Countryside! I want some tweed or small houndstooth check in olive. Maybe an olive or burgundy velvet jacket. There is lots to be excited about isn’t there. Now if retail delivers what we hope they will, it’s going to be fabulous. Rachy, I see a craft project in your future. Long trousers (and jeans) and tall boots is music to my ears. I can’t wait for these to filter into the stores. I’ve been hunting for tall brown boots for 2 seasons now, but there isn’t much to pick from and they are so hard to fit. The more options, the better. And it sounds like I better stock up on cropped bottoms now, because crops are full length on short me, and if lengths get longer I’ll be back to tailoring. The majority of my pants are ankle length crop. I need to figure out if I want to invest in full length. Lots of love for English Countryside. I’m with you. Thanks Angie there’s so much to take in. I do like your prediction of straight leg pants and jeans with a bit of a puddle at the bottom. I look forward to seeing you sport this length so I can get a better idea of it. I find that pants lengths are the best way to update your wardrobe. I have a lot of crops at this point, although I didn’t venture into the wide crop game. I greatly appreciate your trend reports Angie! They help me know what’s going on and stay current despite the environmental norm where I live. I see some of the trends I enjoyed last F/W are still current. My list includes: Boho Chic, Flares, Earth tones, maximalism, waist definition via tucking,Tall boots, Dresses! (New for me!) and a bit of Gothic Romance. I am so excited to wear my Fall wardrobe. I won’t be adding much this year as I’m in pretty good shape from last year’s buying spree. A great read thanks Angie! My tall boots will come out again for sure! Question- do you think tall- boots -over – skinnies will still be on trend? Lyn D, skinnies are a classic. ABSOLUTELY on trend worn with tall boots.